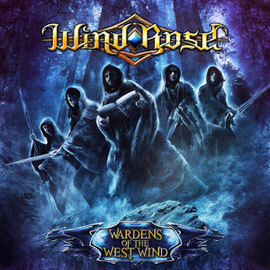 Symphonic Power metallers WIND ROSE will release their second album "Wardens Of The West Wind" on February 3rd 2015 through Scarlet Records. After having attracted enthusiastic reviews with their debut album "Shadows Over Lothadruin" (2012), they have played many shows all over Europe with renowned acts such as Wintersun, Finntroll and Epica to name a few. This time, the band has worked on the follow-up with the supervision of musician and producer Cristiano Bertocchi (Labyrinth, Vision Divine), combining their classical background with powerful guitars, huge orchestrations and epic atmospheres. Cristiano was so impressed with the new material that he joined the band as their new bass player. The album was mixed & mastered by Simone Mularoni (DGM) and the beautiful cover artwork was handled by Felipe Machado Franco (Blind Guardian, Rage, Rhapsody Of Fire) again. We think every fans of Melodic Heavy Metal will like this album. 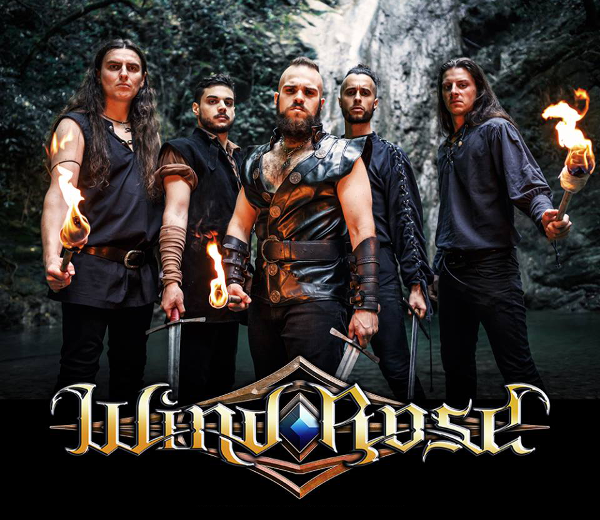 WIND ROSE will be on the European tour supporting ELUVEITIE and Skálmöld in February 2015.